Rabbi Yosef Kapach was universally recognized as the leading translator and editor of the Rambam in recent generations. His mastery of classical Arabic allowed him to return to the Rambam’s manuscripts of the commentary on the Mishna and the Guide for the Perplexed and to review the translations of Ibn Tibbon on which all later generations had relied. His familiarity with the world of the Rambam and his contemporaries allowed him to check sources and the Rambam’s own commentary of the Mishna Torah and to create an entirely new scholarly edition. These same skills enabled him to edit new editions of Rav Saadya Gaon and Rav Yehuda HaLevi (author of the Kuzari) from the original Arabic. 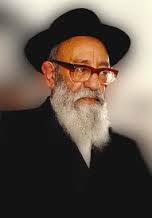 In addition Rabbi Kapach was a Dayan, a member of the high Rabbinical Court and the outstanding leader of the Yemenite community in Israel. Machon Mishnat HaRambam, his publishing institute was founded in 1984. משנה תורה מבואר מפעל משנ”ת עלות לכרך סט א-ב בסך 270 ₪.